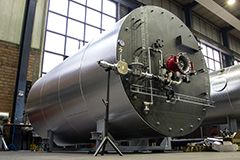 Heiza – Werkstätten Wärmetechnik GmbH is a leading specialist in the field of heat transfer and heat recovery. 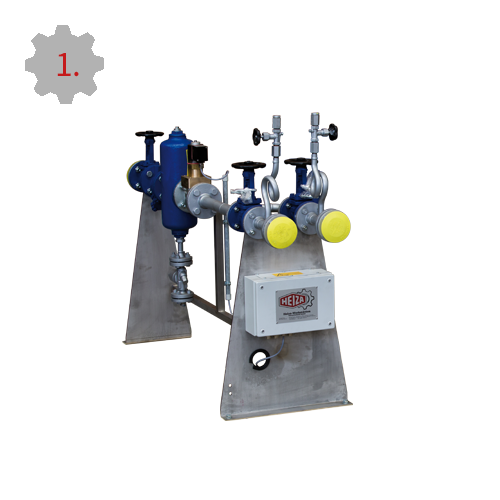 Backed by decades of experience and high quality demands, we develop innovative solutions for several fields of industry. 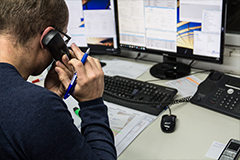 As a reliable partner having earned the trust of its customer base, we possess all key national and international approvals and certificates. 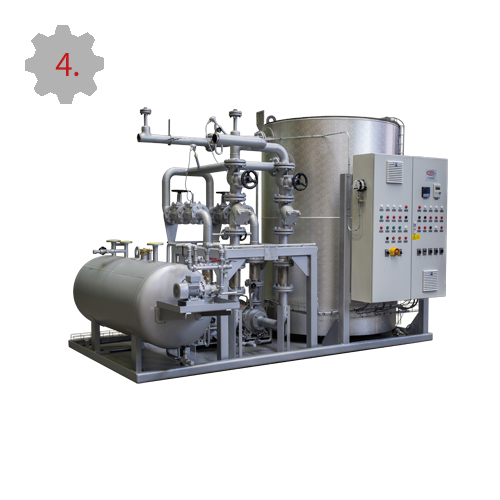 For 50 years, Heiza has been developing thermal oil systems with oil as a heat transfer medium. 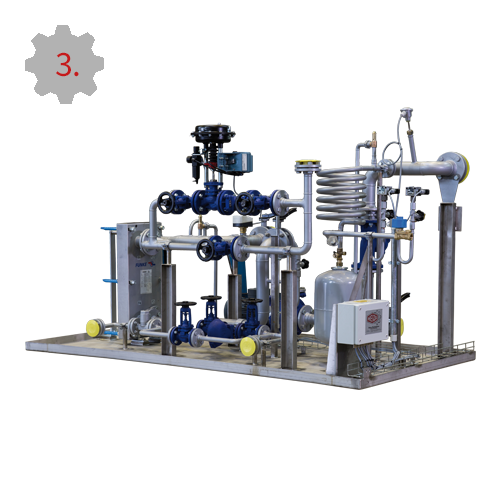 In this manner, temperatures up to 300 °C are reached in unpressurized operation and up to 450 °C at relatively low system pressure. Costly and extensive water preparation is not necessary. Further development is essential for us. 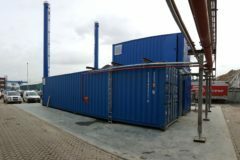 This is why we also cover the growing demands for thermal post-combustion systems for the thermal treatment of exhaust from the deep frying processes in the food industry. 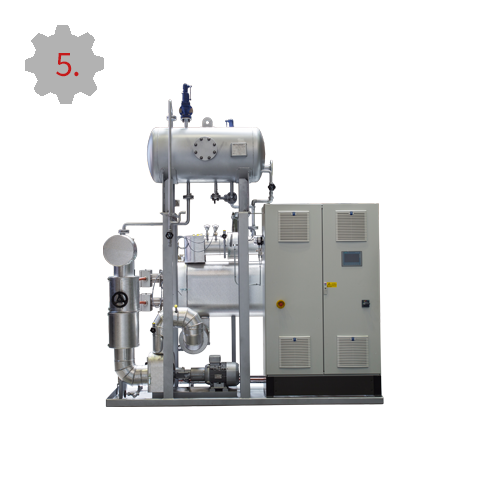 Moreover, we develop waste heat boilers, economizers, pre-heaters and special heat exchangers, which we offer as turnkey solutions as well as individual components, as well as steam generators and evaporators as compact units. 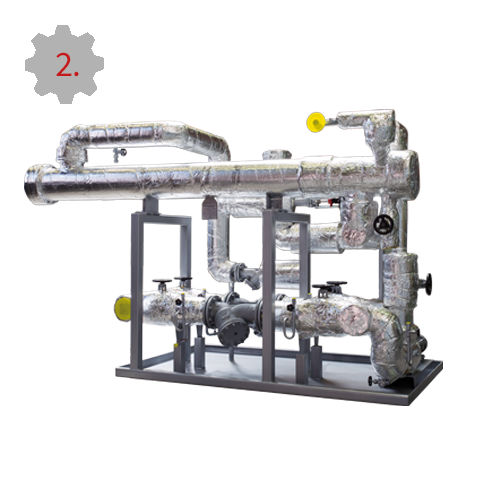 Upon special customer request, we also manufacture thermal custom systems, such as steam accumulators or thermal oil-heated water heaters. 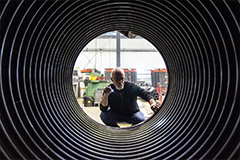 Since February 2014, Heiza – Werkstätten Wärmetechnik GmbH is a part of the Werkstätten group and looks into the future with a combination of long-standing strength and new impetus.